Choosing a photographer was the #1 most important vendor choice to me for our wedding. Now, I know you all don’t come here to listen to me gush about my wedding, so I’ll keep this to a minimum, but Kate Chin of Captured Moments photo & video did an absolutely phenomenal job of capturing our day, plus she somehow managed to get all the editorial shots I had on my list as well. Great work and even more importantly, really wonderful to work with, I’d recommend her to anyone getting married in the area! 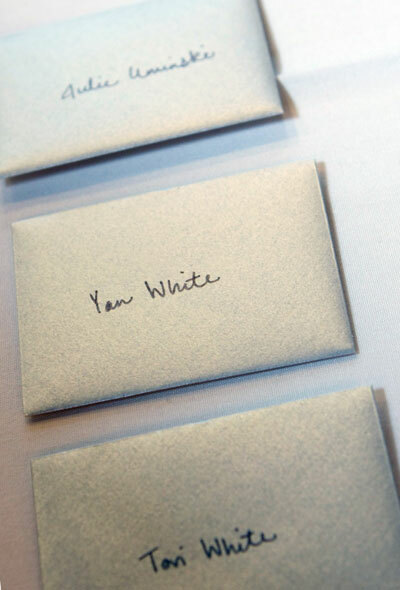 I fell in love with the idea of each guest being welcomed to our reception by a petite envelope especially for them. 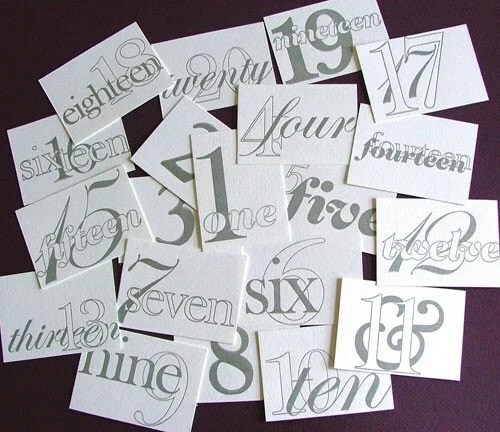 Each silver envelope held a card letterpress printed with a number that coordinated with their table. I forgot to consider that printing 160 tiny cards with 20 different numbers would be a huge undertaking (particularly when started just 10 days before the wedding), but the idea came to fruition exactly how I pictured. I do have two extra sets of numbers 1 through 20, so if anyone’s interested, they’re available here. 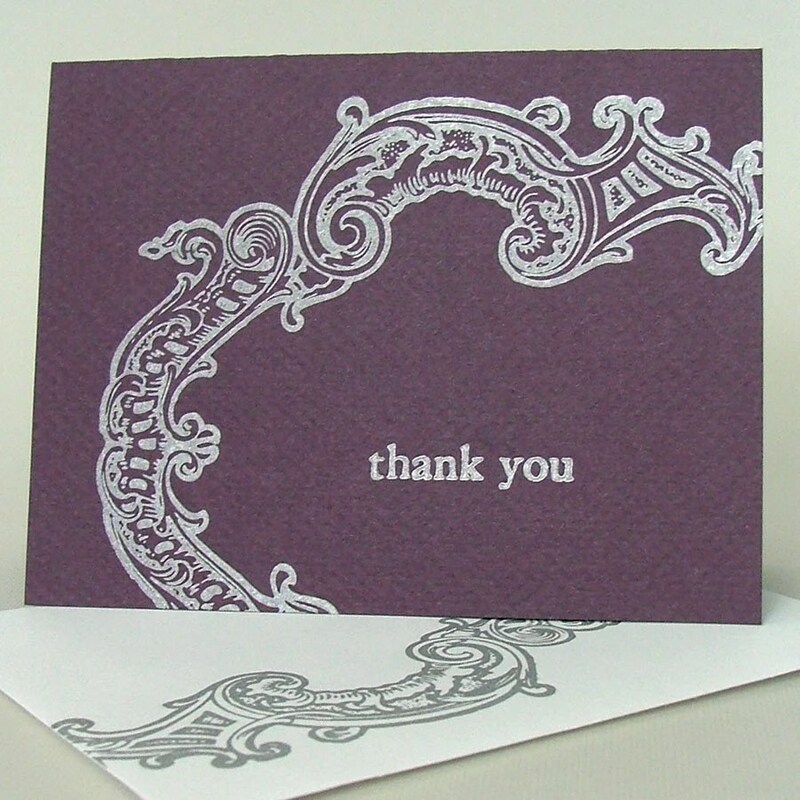 Well, this is long overdue, but way back in May, Stephanie of Mostaza Seed blogged about my recipes cards. I’ve gone back to her site time and time again since then—she really does have a great eye for curating all the wonderful work out there. Thanks Stephanie! 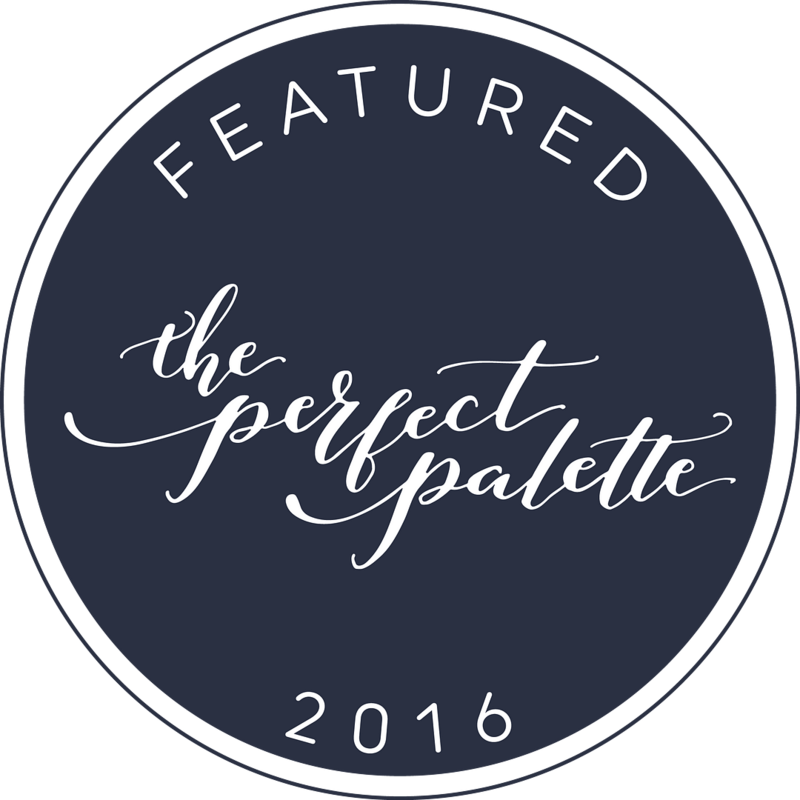 It seems plum is the color of the season—my plum and silver frame card was featured in Jennifer of Craftrimony‘s treasury as well as lunahoo’s treasury. Gorgeous picks, and thanks ladies! I’m not a huge flower person. I appreciate them when they bloom in our yard and all, but I’ve never been one to order flowers just to have them and there’s not a faux flower to be found in my home. 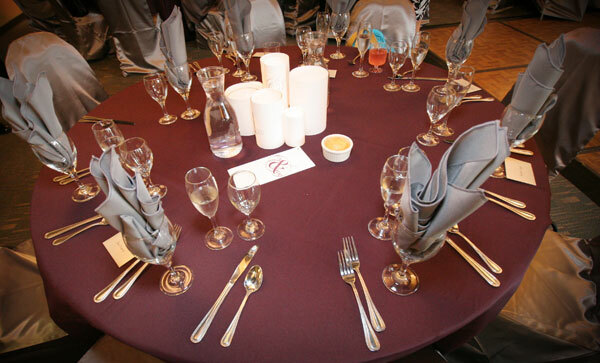 For a while, I was going with floral centerpieces for our wedding because, you know, that’s just what people do. The more I thought about it, the less enthused I became and so I started researching more exciting alternatives. Thank you design*sponge and Martha Stewart! My solution? 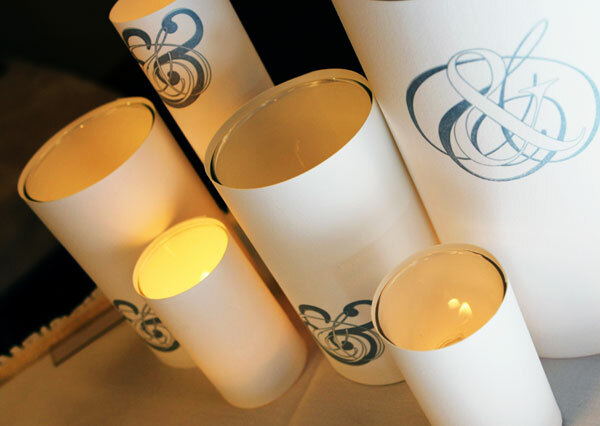 A cluster of letterpressed luminaries in the center of each table. For the cake and gift table, I carried the ampersand theme (distilled from the you & me of our invites) throughout—I even found these great resin ampersands that I painted silver to coordinate. 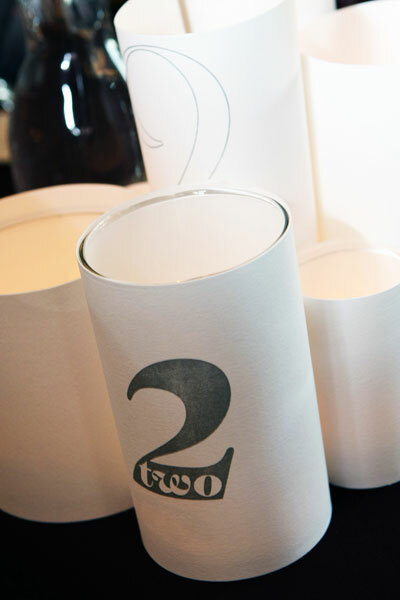 When guests arrived, they picked up an envelope with their name on it that contained a card letterpress printed with a number, which coordinated with a table, which had the number printed on the luminaries. Photos by Captured Moments photo & video. From the moment we announced our engagement, friends and family began loading me up with bridal magazines. I fell in love with the Picasso calla lilies featured in one such publication. I also knew I wanted a modern, single flower, tightly packed bouquet. Simple, right? Wrong. 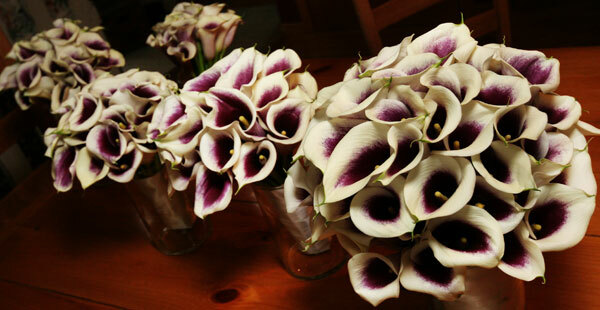 Apparently, callas are one of the more expensive flowers commonly available. 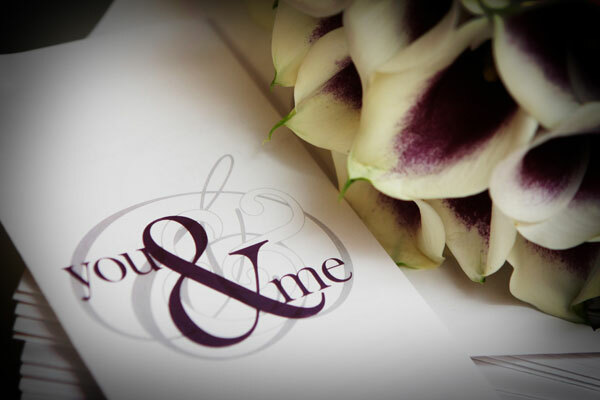 And because of the style of bouquet I wanted, we needed a lot of them. Oh, and even though the florist didn’t have to do much, he would double the price of the flowers to account for his labor. Much to my mom’s chagrin, I decided to order the flowers through an online wholesaler and make the bouquets myself. Come on, I took floral arranging in 4-H! I know you’re all waiting for a hilarious tale of mishap after mishap, but sorry. The flowers arrived on time and in perfect condition, arranging them was easy and they stood up for the entire reception (and the gift opening the following day!). Oh, and going the DIY route saved me several hundred dollars!